A woman wearing a traditional Muslim garb was set on fire in Midtown Manhattan, police said on Monday. According to the New York Daily News, the NYPD said the victim put out the flames on the sleeve of her blouse. She wasn’t injured in the Saturday night incident. The suspect in the alleged incident escaped, and the NYPD’s Hate Crimes Task Force is investigating to determine if was an anti-Islamic motivation. 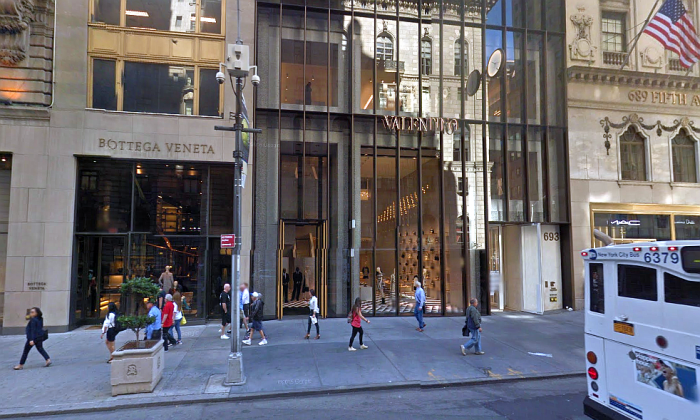 The woman was shopping at the Valentino store on 5th Ave. near E. 55th St. at around 9 p.m., police said. A source told the Daily News that she felt heat around her arm, realizing she had apparently been set alight. The New York Post later identified her as 35-year-old Nemariq Alhinai.